One Christmas Eve a long time ago, a baby crawled into Santa's bag of toys. 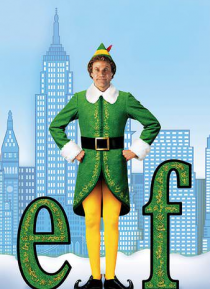 Raised as an elf, Buddy grows into an adult -- and realizes that he will never truly fit in at the North Pole. This holiday season, Buddy goes looking for his true place in the world -- in New York City. Buddy finds his workaholic father... who's on Santa's "naughty" list, a new mother and a 10-year-old brother who doesn't… believe in Santa Claus or elves. Here, now, Buddy discovers his destiny... to save Christmas for New York and the world!